A VA home loan is designed to help service members, veterans, and buyers eligible surviving spouses purchase a home. VA loans can be used to help you purchase, build, or repair a home of your own to be used as a primary residence. The loans are available at a number of private mortgage companies and lenders, but they are ultimately guaranteed at least partially by the United States Department of Veterans Affairs. The government insurance allows lenders to offer prospective homeowners terms that are considerably more favorable than conventional loan programs. These advantages can include no down payment and lower VA home loan rates. The VA home loan program gives prospective buyers several options for a guaranteed loan program. Choosing wisely allows you to reap the most benefits over the long-term length of your mortgage. Take a closer look at the three types of VA mortgage programs below. A purchase loan is a relatively simple mortgage that allows eligible service members to purchase a new home. As a result of the VA guarantee, lenders typically feature more competitive interest rates on these home financing programs. A lower interest rate can mean serious savings over the lifetime of the mortgage. Offering extremely favorable terms and advantages, buyers also generally aren’t required to have a down payment or to purchase private mortgage insurance (PMI). This makes the initial purchase of a new house far more accessible with smaller savings necessary and a lower overall monthly cost. The VA streamline refinance loan is also sometimes referred to as an interest rate reduction refinance loan (abbreviated to IRRRL). If you already own a primary residence but want some of the more favorable terms of a VA mortgage, this program could be right for you. Homeowners can refinance their home with this program, allowing them to receive a lower interest rate. Another major benefit of the streamline refinance loan is the ability to change an adjustable rate mortgage (ARM) into a fixed rate mortgage. Many homeowners opt for an ARM when the interest rates aren’t low enough or they believe they will sell the home before the interest rates start to fluctuate. Life in the military is unpredictable at times, and sometimes homeowners end up trapped in an adjustable rate mortgage with interest rates that are too high. Refinancing with the IRRRL allows them to obtain a more conventional VA mortgage with the same favorable terms of the purchase loan. Occasionally, homeowners want to trade in the equity they built up in their home for cash. If you’ve owned the home for a while, you may have plenty of equity invested into the property. You could take that money and reinvest it wisely by paying down credit card debt or student loan debt. You may even use it to remodel the house into your dream home. A cash-out refinance loan is great for transferring your equity into cash, but it could also be used to transform a conventional loan into a military mortgage. 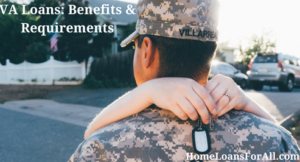 You can obtain all of the benefits of a VA home loan, and the Department of Veterans Affairs will insure up to 100 percent of the value of the house. Read our article on VA Refinance Loans to find out which refinance option works best for you. A VA mortgage typically is not subject to a maximum loan limit. Unlike other programs like the FHA loan, prospective buyers can search for their absolute dream home if they can afford it. There are limits to the dollar value that the government is willing to guarantee on your military mortgage though. The guarantee is good for a maximum of 25 percent of the VA county loan limit for mortgages over $144,000. You can check the specific county loan limit through the VA website. The premise of this cap is that the value of each home is dependent on the location, at least in part. Eligible veterans each receive the basic entitlement of $36,000. Most lenders will approve veterans for a loan up to four times the amount of their basic entitlement without requiring a down payment. However, this is also subject to certain terms and conditions. In order to qualify for the veterans home loan, the lender will need to verify your income and credit. The property will also need to appraise for the asking price or higher. Looking for a larger VA Loan? Take a look at our article on VA Jumbo Loans here. Most eligible service members or their surviving spouses are required to pay a funding fee. The specific amounts of the fee are based on the type of VA mortgage you select, your military category, your status as a first-time or subsequent loan user, and your down payment size. Calculating the funding fee for a VA loan is rather difficult. It’s based on your specific status or the type of veteran you are (military versus reserves and national guard) as well as your down payment amount. For example, a regular military veteran with no down payment will have a funding fee of 2.15 percent for a first-time VA loan (3.3 percent for subsequent usage). With a larger down payment of 10 percent, you will have a 1.25 percent funding fee. For a better idea of what your specific funding fee will be, you can view the chart available from the VA loan program. The full amount of the funding fee is due at closing, but that doesn’t mean you’re required to pay cash. Instead, homeowners can bundle the funding fee into their VA home loan to minimize the amount of cash they need upfront. The purpose of the funding fee is to lower the overall cost to taxpayers by offsetting some of the major savings of the VA loan. There are definitely many advantages to a VA home loan, which is part of what makes this home financing program so popular. A military mortgage often makes purchasing a new home more accessible to prospective buyers by lowering the upfront and monthly costs. Many of the benefits of a VA loan are relatively easy to identify. Saving up for a hefty down payment can often prolong the process of purchasing a home. It can be difficult to scrape together a savings account that totals anywhere from three to twenty percent of the overall home cost. With a VA loan, buyers are often able to purchase homes with no down payment at all. The specifics of any required down payments will ultimately be determined by your lender. One of the most common scenarios that will lead to a required down payment is an asking price that exceeds the value of the property. If your potential home doesn’t appraise at the asking price, you should reasonably expect to have some sort of down payment with a VA home loan. On conventional mortgage products, lenders typically require private mortgage insurance (PMI) when the down payment is less than twenty percent. A veterans home loan is able to waive this requirement, even when no down payment is required. This can add up to a substantial savings for buyers on a monthly basis. With a VA loan, buyers are provided with the added benefit of having their closing costs limited. Closing costs can be an expensive part of the process when purchasing a new home. Your military mortgage will limit those to roughly three to five percent of the cost of the house. They will also allow the seller to cover those costs. The biggest way you can save money on a mortgage is by making additional payments. Interest rates, even with the lower VA loan rates, can seriously accrue over the years. 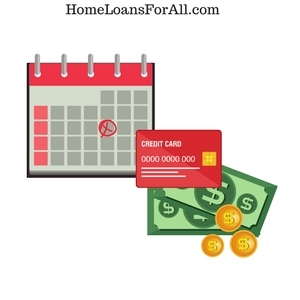 You can save more money by paying off your loan early without any penalty from the lender. The Department of Veterans Affairs has trained experts who can offer assistance programs to help homeowners avoid foreclosure. If you need some help making the monthly payments on your mortgage, you can contact a VA home loan technician for assistance. Determining eligibility for a VA loan can be difficult unless you know the specific requirements. In general, prospective buyers are required to provide proof of a sufficient income and a decent credit score to qualify for a VA home loan. Unlike other programs that have specific credit score regulations, a VA home loan doesn’t require a minimum credit score. Lenders are encouraged to take a look at the entire loan profile before issuing a final decision on approval. This major advantage to loan eligibility can be great for borrowers who have had previous credit blemishes or extenuating circumstances. Lenders do take a look at your debt-to-income ratio as well. This means that they will be considering how much of your monthly income is allocated towards paying off your debt, including auto loans, student loans, and your new mortgage. Similar to the credit score regulations, there is no maximum debt-to-income ratio imposed on borrowers. Lenders must be able to provide compensating factors if this ratio is higher than 41 percent though. A military mortgage requires one additional piece to determine whether you will qualify for a loan or not. This piece is known as a Certificate of Eligibility, and it has very clear regulations. Current active duty personnel will meet the qualifications after they have been established on continuous active duty for 90 days. When you are released from this active duty status, you may need to reestablish your eligibility to continue meeting the requirements for a VA home loan. The requirements for other service members are broken into categories to demonstrate service during wartimes, peacetimes, and service separations. Service during wartimes has a certain time requirement for World War II, the Korean War, the Vietnam War, and the Gulf War. The first three wars require service members to have been on active duty for a minimum of ninety days unless discharged for a service-related disability. They must have been discharged from active duty with some status other than dishonorable discharge. Your spouse died while in service or from a service-connected disability. Your spouse is missing in action or a prisoner of war. 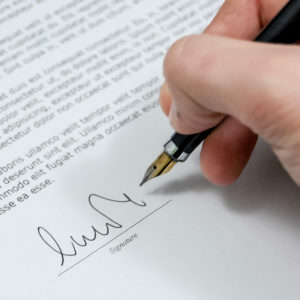 You are in receipt of Dependency and Indemnity Compensation benefits where your spouse’s death was not service-connected. A VA home loan can only be used for a specific type of property and situation. Prospective buyers should ultimately be aware of the potential options for this type of mortgage before becoming invested in a specific property. First and foremost, the home must be used as your primary residence but you can choose to purchase or build a home, including a manufactured home and lot, or a condo unit in a VA-approved project. Homeowners should also be aware that they can utilize their veterans home loan to make simultaneous improvements in the home, including the installation of energy efficient updates. Refinancing a home is also included in the rules about what a VA home loan can be used to cover. You may refinance a conventional mortgage product or another VA loan in order to receive a lower interest rate. You could also refinance your mortgage loan secured by a lien of record on a residence that you both own and occupy. Understanding all of the detailed rules for obtaining a VA loan can be rather taxing. An experienced lender may be able to walk you through some of the details about obtaining a Certificate of Eligibility, as well as finding a property that suits your needs. How does a VA home loan work? Once you know that you meet the criteria to obtain a military mortgage, you need to know what steps will logically follow. You can use this general framework to ensure that your home-buying process moves along smoothly. Make sure that you meet the service requirements set out in the section above. This may mean going through old records to determine your dates of service. Nothing else can happen with a VA mortgage until this step has been completed. There are two ways to apply for a certificate of eligibility: you can apply for it online through the portal or the lender can request it on your behalf. What is a VA Home Loan Certificate? This is the actual confirmation that you are indeed eligible to receive a VA mortgage. Lenders will need this formal approval before they can move forward with your home financing. However, they won’t be able to simply take your word for it that you were involved with a branch of the armed forces. Before you apply for eligibility through the mail, the online portal, or through your lender, you should make sure you have copies of the necessary documents from the list above. Otherwise, you may face delays in the process when you need to gather that information up for lender review. Remember that your VA mortgage won’t be offered directly through the Department of Veterans Affairs. You will need to seek out a lender or mortgage company that offers this specific program. Take your time in considering all of the potential resources available to you. During your research, you will likely find that some lenders provide more favorable terms, including lower VA loan rates or a lower required down payment. At Homeloansforall.com, we partner with some of the best VA mortgage brokers and can help you get approved. All you need to do is simply fill out our form here, and we’ll get back to you with the details about your loan right away. Investigate whether or not your lender is going to institute an additional charge, often called a loan origination fee. This usually entails a charge that totals to 1 percent of your total mortgage, in addition to any other normal fees that a homeowner will incur (such as your appraisal). Choosing the right real estate agent can ultimately make a big difference in whether or not you find the perfect home. Take your time when it comes to selecting a real estate professional that you feel comfortable working with. They should be responsive to your phone calls, experienced, and come with personal recommendations. Your real estate agent can take you to view potential properties or notify you of any local open houses. An experienced agent may also be able to help guide you through the entire home-buying process, including working with your lender. Did you finally find your dream home? The next step is to make an offer on the home you found, hoping that the seller will approve it. Your real estate agent will then assist you with creating a sales contract and negotiating the terms of your purchase. Specific to a military mortgage, you need to create a purchase agreement that has a VA option clause for your home financing. What is a VA Option Clause? This simple statement provides a contingency plan that allows you to back out of the purchase if you can’t obtain a VA home loan. This offers some security for you in the event that a VA home loan falls through. Your real estate agent may also suggest other contingencies to protect your interests moving forward, but a VA option clause is an absolute necessity. Once the purchase agreement has been formally signed by you and by the seller, your lender will require an VA Home Appraisal. This is accompanied by an additional fee and performed by a third-party. Appraisals are required to help the lender determine whether the home is worth what the seller is asking for it. In other words, they want to make sure that their interest in the property is protected if you default on the loan and the home moves into foreclosure. Buyers who pay more than the property is truly worth may have a difficult time being approved for the whole mortgage on this specific property. Appraisers also help the bank to determine if the home is safe, sound, and offers appropriate living conditions. The closing of your home is the final step before you can officially move in. This is when the lender formally provides all of the funding for your VA home loan. You may schedule this momentous meeting at your title company, escrow office, or an attorney’s office. Plan to set aside quite a bit of time for this final meeting. Your real estate agent, closing agent, and the seller may all be present as you sign the official documentation for your VA home loan. As in all things, you should attempt to thoroughly read and understand all of the documents placed in front of you before signing. An attorney should be available to answer any questions that arise during the process. Once you officially finish signing the last piece of paperwork, you can rest easier knowing that you are officially a homeowner with a new VA mortgage! Perhaps the most significant benefit of the VA mortgage is the down payment. Where conventional mortgages typically require a twenty percent down payment, a military mortgage through the VA program is able to waive this standard requirement. The main purpose of these down payment funds was to offer some security to the lender that a homeowner would pay back their mortgage. If and when a homeowner defaulted on their loan, the bank had at least twenty percent of the cost to help make up for their overall loss. With the federal government backing the loans, homeowners can save thousands of dollars on the upfront costs of their homes. How much can you really save without putting down a deposit on your new house? Let’s take a look at the real numbers to determine what a military mortgage could save you. The median home price in the United States is roughly $200,000 (specifically, it hovers very closely to $203,000). For the sake of simplicity, we will round down to use more even numbers for this demonstration. At this purchase price, that means that prospective buyers should be prepared to spend roughly $40,000 on their down payment if they had a conventional loan. For most individuals, saving up $40,000 in cash will prohibit them from purchasing a new home for several years. This has the potential to add to the initial cost of purchasing the home. After all, three years’ worth of saving will mean 36 months’ worth of rent instead of money that could have gone toward owning your own home. With a VA loan, you can save this initial investment. It’s one of the largest benefits of this method of home financing compared to a conventional loan that would require such a large down payment. It should be noted that a VA mortgage doesn’t have a maximum loan amount, but the guarantee from the government does have a cap. The limit to the governmental guarantee is subject to change, based on the location of the home. The upper limits of this cap may prevent some lenders from issuing larger mortgages and foregoing some of their security. Fortunately, the down payment isn’t the only thing that saves you money on your veterans home loan. Most lenders will also require mortgage insurance (sometimes referred to as PMI) if you bring a down payment lower than twenty percent to the closing table. This monthly fee will apply every month until you can build more equity in the home. A VA loan does not require lenders to add private mortgage insurance onto your monthly mortgage. Lenders are better protected by the federal guarantee, and they know the government will chip in some of the home price if you default on the payments. This can mean additional savings for you. Mortgage insurance will typically cost roughly 0.5 to one percent of the total home value. To compare those costs to our earlier example, that would mean mortgage insurance will cost between $1,000 and $2,000 annually. The monthly cost would be somewhere between $83 and $166. A veterans home loan waives this monthly expense which can mean one of two things for homeowners. You can either purchase a more expensive home with a VA loan because you will be saving more on a month-to-month basis. Others may choose to have more expendable income as a result of these significant savings. It would be difficult to find all of these exclusive benefits with a conventional mortgage product. Unlike other programs that may present savings to entice new buyers but ultimately charge higher rates or a larger monthly fee, a VA loan truly offers the same benefits it says it does. A VA mortgage is a great way for service members to save money on the cost of homeownership, both immediately and in the future. Homeowners insurance is a way for you and the lender to protect your interests in the new house in the event of a disaster such as fire, wind, or hail. It can help to cover the cost of repairs to your home, replacement of the items inside your home, and protect you from accidents that occur on your property. Maintaining VA loan homeowners insurance is going to be essential when you purchase a property through this program. All VA lenders are going to require a minimum amount of coverage on your new home. They will want it to cover at least the loan amount on the property. This minimum VA loan homeowners insurance allows veterans to make sure they can recoup the initial cost of their investment if the home is completely destroyed in an unforeseen event. Homeowners are often required to cover the cost of the first year of insurance premiums either before or at closing for their VA loan. There are some VA loan homeowners insurance requirements outside of this minimum coverage amount. For example, you will need to present a binder for the first twelve months of coverage before the financing will officially go through. The binder is like temporary proof of your insurance. This document must outline your deductible and list both you and the lender as the payee if something occurs. Additionally, one of the VA loan homeowners insurance requirements is that the binder cannot state that coverage is ineffective if premium payments are not made. Most lenders will not accept a binder that includes this statement. Another main attribute that makes a VA loan particularly attractive is its availability to individuals who need a loan but have a bad credit score. Compared to programs like the FHA loan that require a minimum credit score, a VA mortgage does not have any minimum standards. Regardless of your credit history and score, the government will continue to guarantee your mortgage. Is there a catch to getting a VA loan with bad credit? The short answer is no. However, each lender is going to set its own standards regarding credit. Potential home buyers should remember that the government does not actually issue a VA home loan. They work with private banks and lenders to back the loan and provide security for those lenders. Once a bank is willing to fund a VA loan, the VA will finally back it. This means that you will need to find a bank who is willing to work with your unique financial situation. In general, most lenders have a set of minimum standards they consider when working with home buyers and their credit scores. These standards tend to apply for all home financing options. 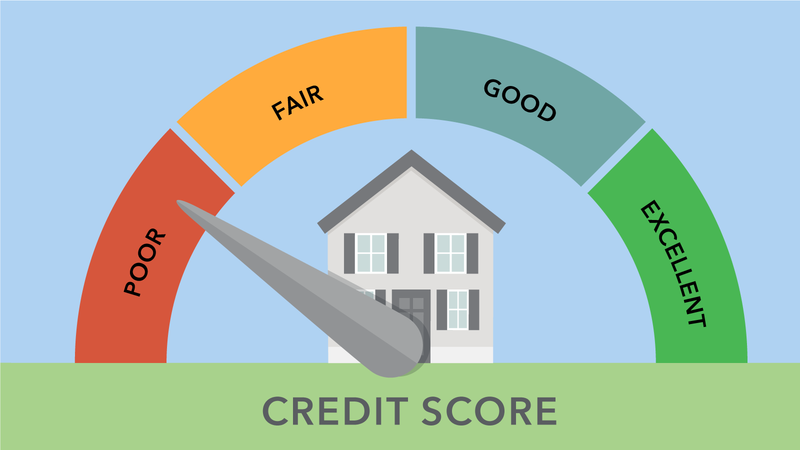 A standard benchmark is usually a credit score of 620, but you don’t have to fret if your score is lower than this. Because the government is still willing to back a veterans home loan regardless of credit, some lenders are willing to take a greater risk. This ultimately encourages lenders to take a thorough look at your entire credit profile. Late payments, debt accumulation, and down payment amount can all factor into their final decision on whether or not to fund your VA home loan. The key is going to be finding a lender willing to issue a bad credit VA loan. If you’re denied financing for a military mortgage at one lender, it won’t hurt you to try another. The standards will change from company to company, so be sure to ask lots of questions and do your research if you have a less than stellar credit score. Most VA lenders do not use minimum credit score as a requirement when applying for a VA home loan. If a lender does have a credit requirement (and you are unable to shop around for a better offer), it will likely be around 550, which is a requirement commonly used for FHA loans. If you have VA home loan bad credit, you can try to secure the help of a VA home loans cosigner or provide alternative credit like a utility bill payment. Can you get a VA home loan with a 500 credit score? In most cases, yes, you can absolutely get a VA home loan with a 500 credit score. Potential buyers have been conditioned to ask what the current rates are at every lender. Unfortunately, this can be a difficult question to answer because the VA loan rates will vary based on the financial institution. There’s a common misconception among home buyers that the VA sets a particular mortgage rate for a VA home loan, but that isn’t actually the case. The VA loan rates are constantly fluctuating based on a handful of common factors. If you’ve ever wondered what influenced your VA loan rates, these four variables play a big role. Credit score is one of the largest indicators for VA loan rates. Consumers with a higher credit score are usually offered more favorable rates. This is largely due to the fact that a higher credit score indicates a longer history of on-time payments and responsible debt management. The bank can afford to offer lower VA loan rates to a home buyer they feel is relatively certain to pay off their mortgage. Consumers with lower credit scores don’t offer banks the same type of security. Whether your low credit score is due to a few missed payments or a massive amount of debt, there are a few red flags that cause lenders to worry. In order to justify approving you for a VA mortgage, they will charge a higher interest rate to make more money off the potential risk. While a bad credit score doesn’t exclude you from qualifying for a VA mortgage, it may mean that you will face higher rates. Remember that your VA loan rates will vary from lender to lender. Your debt-to-income ratio allows lenders to quickly identify how much of your monthly earnings is spent paying off pre-existing loans. It’s a quick snapshot that demonstrates how well you manage the income you receive each month. Most lenders will look for a debt-to-income ratio that is 41 percent or lower. If you have more debt than this percentage allows, you may still qualify for a VA mortgage. There are no specific requirements on this loan program for a maximum debt-to-income ratio. However, lenders will be required to provide compensating factors if your debt exceeds more than 41 percent of your monthly income. Lenders often need to factor the cost of your new mortgage into this debt-to-income ratio as well. A ratio that’s significantly higher than 41 percent may mean that you will struggle to make ends meet in other areas, such as your electric bill or your phone bill. A higher debt-to-income ratio could correlate with higher VA loan rates. The standard length of time for a VA mortgage is either a thirty years or fifteen years. The most common duration for a mortgage has historically been thirty years, but some individuals want to quickly decrease such a large debt. A longer-term loan will typically have higher VA loan rates than a shorter-term loan. The longer that a homeowner maintains a loan, the more risk that the bank is ultimately assuming if a homeowner defaults on their mortgage. If you’re interested in getting the lowest VA loan rates, a shorter-term fifteen-year military mortgage will often offer the best interest rates. Lenders often use a variety of economic indicators to determine their overall interest rates, and VA loan rates are no exception. The current condition of the market is significant in the fluctuation of various rates. Banks have to consider important information like their current competition and the rates set by the Federal Reserve Bank. Of course, they may also look at the inherent risk that the economy could take a sudden downturn. The health of the stock market and consumer investments may make lenders more optimistic, prompting a downturn in the VA loan rates. The opposite can also hold true in some situations. Predicting the VA loan rates is a difficult endeavor without talking to a lender. Remember that each lender will issue their own set of interest rates, some of which will be influenced by your individual factors. Continue to shop around for the best VA loan rates and the most favorable terms. This will ultimately help you to save the most money over the duration of your loan. Once you fully understand all of the benefits inherent to the VA home loan program, it may seem obvious to apply. You can apply at any bank or private lender that partners with the federal government’s VA loan program. Some of these lenders may be well-known banks or financial institutions while others could be local credit unions. If you’re interested in applying for a VA mortgage, select a few banks and lenders to talk with. You may want to set up a meeting with a mortgage representative to review your eligibility, discuss your current financial situation, and obtain preapproval for a VA home loan. This may also be a great time to start discussing potential VA loan rates. Many companies will also allow you to discuss some of these details over the phone with a customer service representative. Some online lenders can give you access to a VA home loan, which means that you can save tons of time on meetings and face-to-face appointments. Busy individuals and families may want to consider pursuing their VA loan through this route. You can fill out our form at the top of this page to speak with a qualified VA loan mortgage broker today. What is the current VA loan rate? The VA loan rates are not actually set by the VA. Instead, individual lenders will set their own VA loan rates based on a number of influencing factors. Due to the government backing of this loan, homeowners may be eligible to receive more favorable rates. For more information on what influences the current VA loan rates, you can find more information in the section titled VA Home Loan Interest Rates. Is there a 40 year VA loan option? A current VA mortgage can only extend to thirty years based on regulations instituted back in 2013. Many potential home buyers like the idea of a longer mortgage to lower their monthly expenses, but the real cost is often substantially higher. Interest rates accumulate quickly over the additional decade and cost you more in interest rates. Consider that interest rates are influenced by the duration of your VA loan. A longer-term loan means more risk for a lender, which they will balance out with higher interest rates. Those VA loan rates will continue to accumulate for an extra ten years which may mean thousands of dollars out of your pocket. What does your credit score have to be for a VA loan? There is no minimum credit score requirement for a VA home loan. A lender must be willing to provide the loan and home financing to a prospective home buyer. Provided that you can find a lender who will issue a VA home loan, the VA will continue to back the loan. Can you get a VA home loan with bad credit? Most lenders will look for a benchmark credit score of 620 when issuing a VA home loan. However, some may be more willing to work with buyers who have lower credit scores and extenuating circumstances. The government backing associated with a VA mortgage makes them more willing to assume some of the risk. They may consider approving buyers who have no outstanding collections of judgments, a history of timely payments, and proof of a stable income. You can view more of the service-related eligibility requirements for a VA home loan here. You must meet certain requirements in order to qualify for a VA home loan. Military personnel who have served for a set length of time can apply for a certificate of eligibility. For more information on what can qualify veterans for a VA mortgage, you can view service requirements here. You must also be willing to purchase or refinance a home that meets the regulations of the VA home loan program. 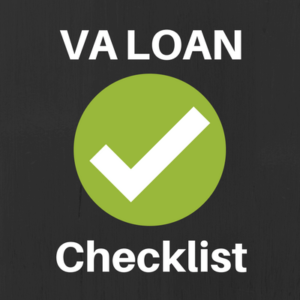 A VA loan can be used for a variety of purposes, so be certain to investigate all of the potential options. 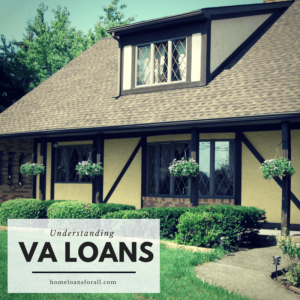 What are the VA loan requirements? You must first determine whether you meet the requirements for a Certificate of Eligibility based on the service you provided to your country. Service members will be required to provide specific documentation of their service, as well as personal information to verify their status. To see the full list of requirements from the VA, you can view acceptable evidence in their chart found here. The other requirements for a VA mortgage will be primarily set by your specific lender. Because the VA does not issue loans directly, private lenders will be responsible for setting standards regarding down payment, credit scores, debt-to-income ratios, monthly income, and more. Do VA loans require PMI (private mortgage insurance)? No, a VA mortgage does not require homeowners to pay private mortgage insurance or PMI. This is a significant advantage to the VA loan program. Where conventional mortgages usually require PMI for down payments less than twenty percent, a VA home loan does not require PMI or a down payment. PMI rates can range from 0.3 percent to 1.15 percent annually. On a house that costs $200,000, that could be an additional $600 to $2,300 per year. Over the course of a thirty-year mortgage, this could mean substantial savings for homeowners. Is there a minimum amount for a VA loan? There is no minimum amount for a VA loan. However, the VA does set specific limits on the portion of each loan that it is willing to assume in the event that a buyer defaults. Each eligible veteran can receive a benefit of $36,000. Most lenders will issue a loan up to four times that amount with no down payment. Can you get a VA home loan with an “other than honorable” discharge? The VA home loan requires service members to have a character of discharge under other than dishonorable conditions. For example, this may be listed as honorable, under honorable conditions, or general. You may apply for a review of discharge by writing to the appropriate military department using DD Form 293. The review will not be able to alter or address medical discharges. However, this could give you an opportunity to have the conditions of your discharge reviewed and changed to meet the qualifications for a veterans home loan. 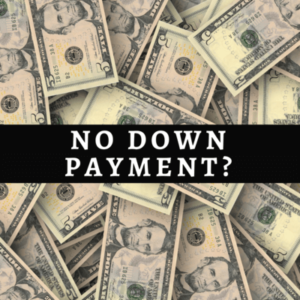 Does a VA loan require a down payment? A VA loan does not require a down payment. The potential savings associated with this benefit are considered to be significant. Lenders do not have to require a down payment because a part of each VA loan is guaranteed and backed by the government. This ensures that they will receive at least a portion of the money if you were to default on the loan. A mortgage lender is far more likely to waive the down payment when they can rest assured of some security in the event the home moves into foreclosure. Do VA loans require mortgage insurance? No, a VA mortgage does not require mortgage insurance. This is a major difference between a VA home loan and a Federal Housing Administration (FHA) loan. Most companies will charge anywhere from 0.3 percent to 1.15 percent of your total loan amount annually. On a house that costs $200,000, this means that mortgage insurance could run anywhere from $600 to $2,300 per year. An FHA loan requires homeowners to carry mortgage insurance through the full duration of their loan program. Using the same real-world example, that means homeowners could be saving up to $27,600 over the course of their loan by selecting a VA mortgage over an FHA loan. Read our article on FHA Home Loan Requirements here. Are there fees associated with getting a VA home loan? Yes, a funding fee will accompany most VA home loans. This funding fee is designed to help reduce the cost of a VA mortgage to taxpayers. It is typically a percentage of the overall loan amount, but the amount may vary based on your status as a first-time or subsequent loan user and any potential down payments. You may view the chart found here to calculate your funding fee amount. My spouse is a veteran. Am I eligible for a VA home loan? Can I build a house with a VA loan? Yes, a VA home loan can be used for new construction. Prospective homeowners should be aware that there will be additional challenges to securing a loan from lenders in these situations. Most new construction homes will not allow you to take advantage of foregoing a down payment. Do service members of the Selected Reserve or National Guard qualify for VA loans? Do I have to pay my first year of homeowners insurance for a VA loan? Borrowers will typically be required to pay their first year of homeowners insurance either before or at closing for their VA loan. Can I obtain more than one VA loan? Yes, you may obtain more than one VA loan during your lifetime. There are no limits to the number of times a veteran may use a VA mortgage, but the entitlement must be repaid in full before it can be issued again. It is possible in some scenarios to have more than one VA mortgage at a time. For example, a service member may choose to keep their primary residence even then they receive orders to move. This home can be rented out in their absence, which provides a viable source of passive income. Depending on how much entitlement they have left, they may be able to purchase a second home in their new location. You may also be able to obtain a VA mortgage even if you lost your previous home to foreclosure and did not pay back the full entitlement. You can check how much entitlement you still have and obtain another chance at the VA loan. It is possible that lenders will require you to come up with some down payment under these circumstances. Do I need to be a first-time home buyer? You do not need to be a first-time home buyer to receive a VA loan. However, there are plenty of unique benefits for first-time home buyers available with a VA mortgage. First-time home buyers can benefit from major cost savings presented by a VA mortgage. They do not require a down payment, which can speed up the entire process of purchasing a house. Along with this benefit, there is also no mortgage insurance required. Both of these characteristics inherent to a VA mortgage make homeownership more accessible for young families and first-time buyers. There are no minimum credit qualifications for a VA loan that could hold up younger and less-established families from purchasing their first home. What are my options if I cannot get approved for a VA loan? Sadly, not all individuals and families will be eligible or approved for a VA mortgage. There are still other loan programs and home financing options available with their own inherent advantages that make homeownership more accessible. The most popular example of another loan program is the Federal Housing Administration (FHA) loan. This type of mortgage is great for buyers who have lower credit scores and higher debt-to-income ratios. They require down payments as low as 3.5 percent, which is still below the traditional standard of twenty percent. These may be a great option for service members who are unable to obtain a VA loan.